How do I share events taking place in a certain state or zip code? Need more? Here's how you can pre-filter your feed by event types, dates or date ranges, or organization. 2. 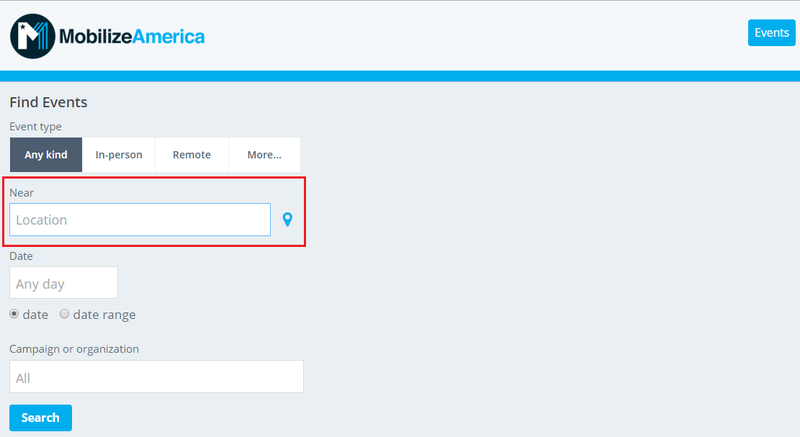 Filter by zip code: Click into the filter at top of your feed. This will expand into the larger feed filter where you can enter a location of interest (address, city, state, zip) or click the location icon to filter for events near your geolocation. Click 'search'. After your filtered feed loads, copy the link displayed in the search bar of your browser. 3. You can now share the link via email or SMS to your volunteers, and they will be directed to your organization's pre-filtered feed, displaying only events in or near the zip code or in the state you indicated.